A new bakery and café has risen in Midlothian. 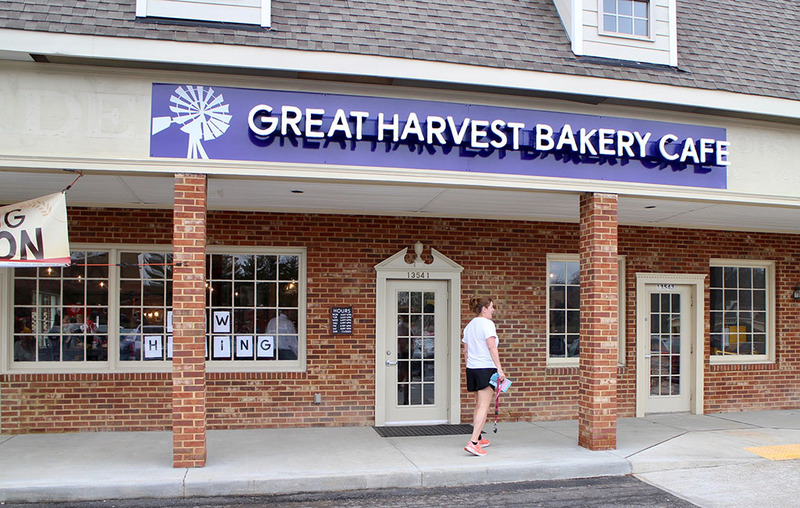 The Richmond area’s second Great Harvest Bread Co. Bakery and Café is now open in Midlothian Station shopping center at 13541 Midlothian Turnpike. Launched Feb. 23 by franchisee Kim Buehler Burcham, the new location joins another Great Harvest on Atlee Road in Mechanicsville that is run by a different owner. Burcham invested about $500,000 to secure the franchise and renovate the space, which became available when Collections Gallery moved into another storefront in the retail strip. Ashland-based M.L. Bell Construction was the general contractor on the project. The bakery is a career change for Burcham, who for 20 years ran Kim Burcham Inc., a local real estate data and research firm. She baked on the side over the years and earned culinary certificates from the University of Richmond along the way, including a bakery and pastry arts certificate this year, before deciding to take the leap. Great Harvest’s offerings include whole wheat breads, muffins, pies and rolls. The Midlothian café serves breakfast and lunch sandwiches, salads and grain bowls, and sells coffee from Richmond-based Lamplighter. At 2,700 square feet, the café seats 86, with plans for additional patio seating, Burcham said. The space houses a baking area, meeting room and onsite mill, where patrons can watch bakers turn wheat into flour. The cafe employs about 16 part-time workers, Burcham said. In addition to selling baked goods at its Midlothian store, Burcham also will sell bread at area farmers’ markets, including the Brandermill Farmers Market and Huguenot-Robious Farmers Market at the Great Big Greenhouse at 2051 Huguenot Road. Great Harvest adds to a variety of national and regional restaurant groups setting up shop in Midlothian. Mission BBQ plans to build a new restaurant in the Stonehenge Village shopping center at 12630 Stone Village Way in Midlothian. 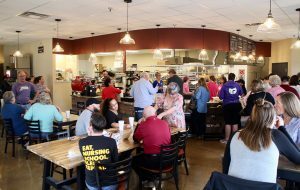 First Watch, a Florida-based breakfast and lunch restaurant, will open its first location in the region Feb. 19 at 1403 Huguenot Road in the TownePlace at Huguenot shopping center. Washington, D.C.-based Mediterranean chain Cava Grill also is setting up shop in TownePlace at Huguenot. It operates two local locations at VCU and Short Pump. 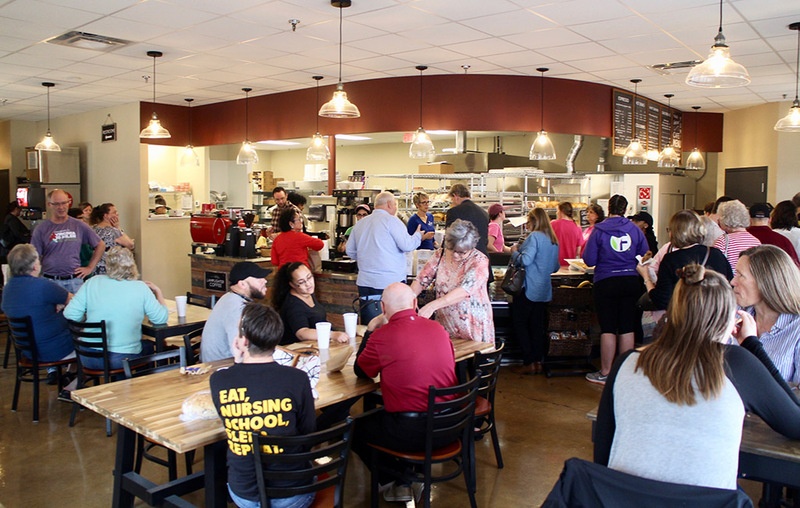 Mellow Mushroom, Bonchon, Panda Express, Taziki’s Mediterranean Café, Blaze Pizza and Burger Bach also have recently opened locations in the Midlothian area. The Midlothian Great Harvest is open from 6 a.m. to 6 p.m. Monday through Friday, and on Saturdays from 8 a.m. to 4 p.m.